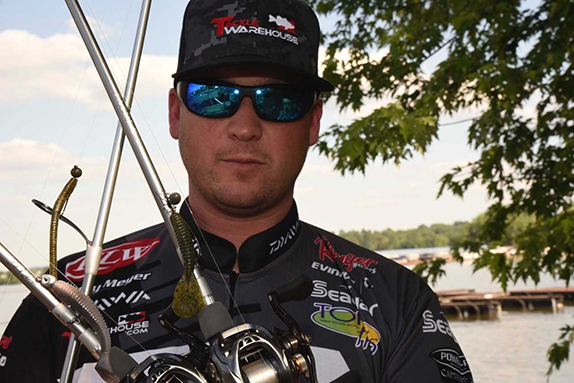 When it comes to spotted bass, Cody Meyer has three trusty baits he relies on. 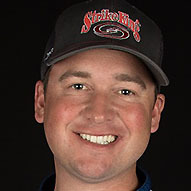 In the world of professional bass fishing, the name Cody Meyer has become synonymous with spotted bass. As a native of Northern California, Meyer is a spotted bass freak who forged his fishing education on spots. Since then, he has compiled an impressive FLW Tour r�sum�, including the Tour�s longest-running streak for consecutive limits caught (50), which was undoubtedly held together by a spotted bass or two. In addition, Meyer was also a potential spotted bass world record holder for a brief period of time with a 10.80-pound brute. Given his penchant for the spotted species, Meyer is a great candidate for a rendition of Pros Pick Three in which Meyer�s three �must-have� lures will be for spotted bass. When asked to narrow his spotted bass arsenal down to just three choices, Meyer had to pause for thought while selecting his baits. Meyer added that being asked for three staples in spotted bass fishing is almost an oxymoron since his overall strategy with spots is to always be showing them something new. �Put it this way, as soon as a spotted lure becomes a staple, they quit biting it,� Meyer said with a chuckle. �Seriously, spotted bass are pretty crafty; they�re super quick learners. They adapt fast in learning what lures to avoid. And here�s the weird part: it�s like once they learn how to avoid a lure, even their offspring know how to avoid it, too. �If you had pitched me this idea 15 or 20 years ago, I would have told you split-shot rigs, dart heads and grubs were my absolute go-to lures for spotted bass. �When was the last time you heard of someone using those lures?� he continued. �I can�t remember the last time I used a split shot rig. With that, Meyer jumped right into his three must-have spotted bass lures, starting with at least one age-old standby. The dropshot may have been cut from Meyer�s short list for spotted bass, but the shaky head still holds the top spot in his go to list. Meyer�s primary shaky head set up is a Strike King Fat Baby Finesse Worm on a 3/16-ounce Tour Grade Shaky Head fished on his signature series 7-foot, 4-inch medium-action Daiwa Tatula Elite spinning rod. His line combo is a 15-pound Seaguar Smackdown braid tied to a 6- or 8-pound Tatsu fluorocarbon leader. He also admitted to being a fervent line watcher. As for colors of the worm, he prefers green-pumpkin or any variation of it, including green-pumpkin sapphire. Next up in is a Strike King Rage Swimmer ribbed swimbait teamed with a �-ounce Squadron Head fished on 12-pound test Tatsu fluorocarbon with a 7-foot, 3-inch medium-heavy Tatula Elite casting rod. He said the ghost shad, green gizzard shad and pro blue red pearl versions of the 3.75-inch size as good colors to start with. Meyer says the trick to this particular lure is a slow, steady retrieve. Meyer�s most recent addition to his spotted bass must-have lure list is a swing head jig, also known as a swivel head jig, Hard Head or Biffle Head. Tommy Biffle was the first pro to expose how effective these jigs are with his own Hard Head and Biffle Bug combination made by Gene Larew Lures. Now, many companies make these swivel-head type jigs and their trailers are only limited by the imagination. Meyer�s pick is a 3/8- or 1/2-ounce Strike King Tour Grade Tungsten Swing Football Head teamed with a Rage Menace trailer, usually in some version of green pumpkin. He fishes it on 15-pound test fluorocarbon on the same Daiwa Tatula he uses for the swimbait. When considering his three lures, Meyer said he wanted to give equal appeal to all three species of spots.